Hiya! I hope everyone had a wonderful, and relaxing weekend. I did a few craft projects, talked about philosophical life questions with my husband, read, drank copious amounts of coffee, and watched two great movies (Blue Jasmine & In A World). I know I generally don’t divulge a lot about my life here, and I had no intentions of this being/becoming a “personal” blog, but I do fancy myself a creative writer-and coincidentally an over sharer. Long ago during the hazy days of Myspace (if you think really hard, you’ll remember when it used to be cool) I kept an online journal, and it was my pride and joy. I shared everything. Poetry, mothering woes, decorating projects, art, relationship issues, issues I had with myself, nothing was off limits. It was this cathartic swirling vortex of my neuroses, and for some reason people read it, and moreover, people liked it. In an effort to get back to that pour my heart out kind of writing, I’m going to start a new tab on this blog called “ramblings”, because well, that’s exactly what it will be. Maybe a few people will read it, maybe not. It’s more for me, it’s an effort to be authentic and share the “real” bits of life, the sometimes not so pretty bits that many of us keep locked up inside, until they bubble over into a massive nervous breakdown. That might be a slight over exaggeration but you get the point. Now, as a reward for sitting and listening to me (and trust me you haven’t heard the half of it) I’m going to show you how to make something pretty, and sparkly. It’s kinda sorta DIY. It does involve an electrical cord/socket-so try to not to electrocute yourself. This DIY was a gift from my dad a couple years ago, but it’s something everyone loves, and people always ask where I got it. I just recently updated it with glitter—ooooohhaaahhhh. My mom has had a sea urchin night light for as long as I can remember, but large urchins are not easy to come by like they used to be. The larger Urchins are not able to be harvested anymore, so nowadays when you buy urchins individually they are on the small side. If you search Ebay you can find a few lights with a large shell-like this, but they run about $25-30 bucks. (search sea urchin night light) An individual urchin like the one I have will cost you about $3, so obviously it’s much more cost effective to make your own. Basically you just drill a hole in the bottom of a piece of wood (big enough for a night light socket to fit in) You can find a socket/cord set like this on Amazon, or probably at your local hardware store. You could stain/varnish your base, paint it, decoupage it, the options are endless! That’s basically it. 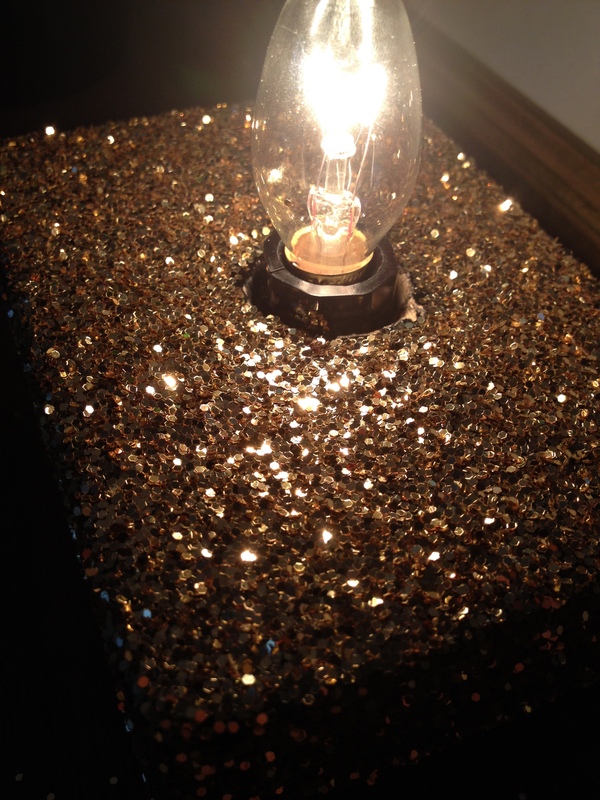 Get a piece of wood-make it pretty, drill a hole in it, insert your socket , put in a light bulb, and Voila!! 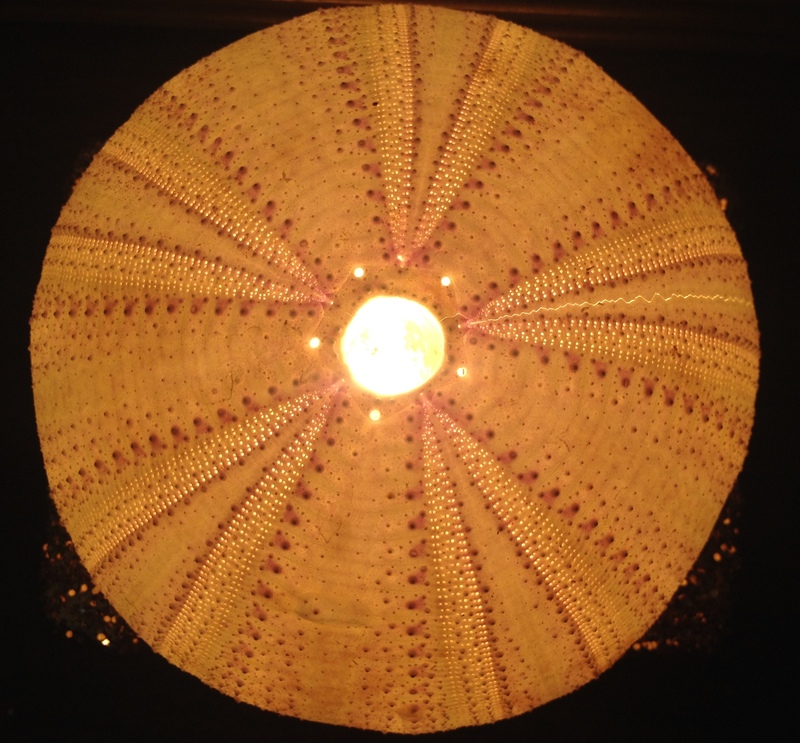 So the next time your on vacation, grab a sea urchin and create one of these magical lights. 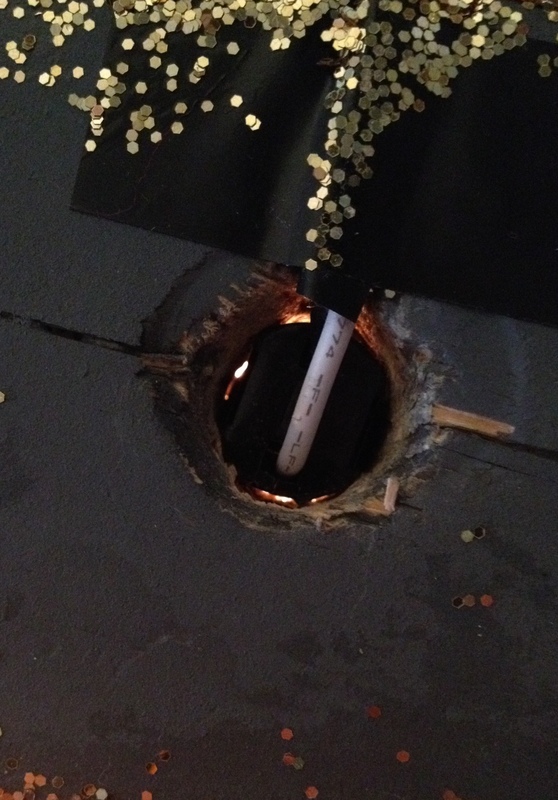 This is the bottom of the light, where the socket goes. B. Yay! Bring on the real stuffs! Nothing wrong with letting people get to know you. 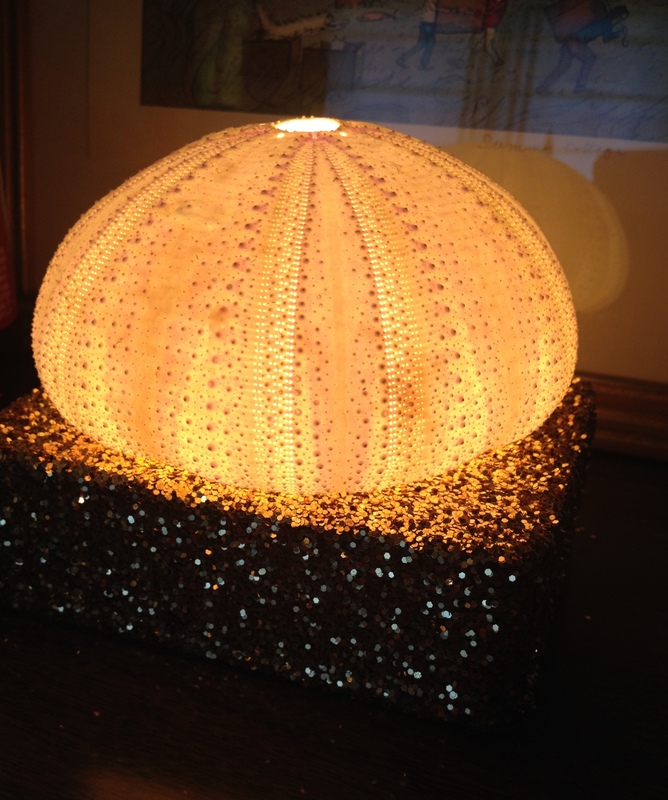 C. This sea urchin light is ingenious! So pretty! I’m glad I’m not the only one, Val! ; ) As long as your comfortable with it, I think you can never really disclose too much-of course the people reading said material might be like-WHOA!! But, what the Hell! Thanks so much, I love the urchin too, even more than that-I love that my dear old dad made it for me!